Steel consumption in India fell to 5.75 million tonnes (mt) in April, the lowest since the same month in 2015, dealing a fresh blow to domestic manufacturers already battling cheap imports. The steel consumption in the country, which is the third largest steel producer in the world, was at 7.31 mt in March this year. Steel Ministry’s Joint Plant Committee (JPC) attributed the fall to “influence of a declining supply side (as both production for sale and imports declined)”. The consumption in the month under review was the lowest since April 2015, when it was around 5.45 mt. According to official data, the country consumed 6.84 mt steel in February and 6.98 mt in January this year. The trend of decline in the quantity of consumption is a matter of concern, especially when cheap imports are eating into the demand for the metal. India’s steel consumption rose by 4.3 per cent in the last fiscal to 80.27 mt compared to 2014-15. However, JPC said such growth was mostly led by imports (up by 20.2 per cent), which accounted for 14 per cent in total steel consumed by the country during the year. Experts are of the view, that decline in quantity means there will also be a decline in sales of the domestic firms, which is further exacerbated due to spectre of imports eating the share of these companies. Such a development will mean that firm’s margins will be impacted if such a trend continues beyond two-three months, they added. Earlier, steel secretary Aruna Sundararajan has saidthat minimum import price (MIP) imposed on certain steel products is constantly reviewed and the government has no intention to continue it unless “strictly necessary”. 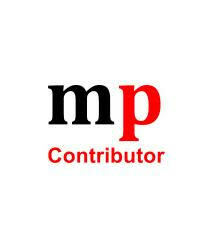 “MIP is certainly under constant review because we do not intend to continue MIP unless it is strictly necessary. So if industry is coming back to a healthier position and if global prices continue to stay where they are, then yes, definitely MIP will be reviewed,” she said here. When asked about the status of the MIP, she said it is too early to make a full assessment, but initial reports indicate that it has certainly had a hugely beneficial impact.